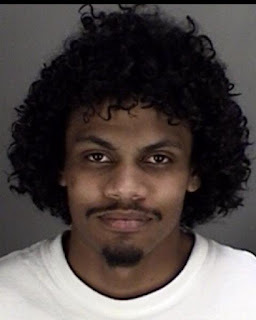 Bencia, Calif - A suspect wanted in connection with two gas station robberies in Benicia, Calf. was apprehended today in Southern California. The suspect, Bruce McKenize, 20, of Vallejo (pictured above), was identified as the suspect in the robbery of a Chevron and Super Stop gas stations earlier this month. Benicia Police Department detectives worked with Napa detectives to investigate the burglaries and were able to identify the suspect McKenzie. During the investigation, the detectives were able to find a T-shirt that was worn in the Benicia burglaries in McKenzie's possession. Today, was also arrested for a burglary in Temecula, Calif. and is being investigated for several other burglaries in the Los Angeles area. All involved law enforcement agencies are working to ensure he is appropriately charged for all the crimes he as committed, including the Benicia burglaries.